ISPCA volunteers donated over 4,000 hours of their generous time to support our vital work in 2018. Our Centres are consistently at capacity throughout the year, and every hour our volunteers give makes a huge difference for animal welfare and the work we do. In 2019 we expect to be as busy as ever, and are appealing to animal lovers to offer up their spare time and sign up for any of our ISPCA volunteer roles at our Centres in Longford, Cork or Donegal. ISPCA Volunteer Coordinator Emily Connor said: “We simply could not carry out our vital work rescuing Ireland’s most cruelly treated animals without our dedicated team of volunteers. The ISPCA has a number of volunteer roles available working hands-on with the animals in our kennels, stables or cattery. We are also recruiting for a volunteer maintenance/grounds-keepers, fundraising volunteer to help out at various events, and more. 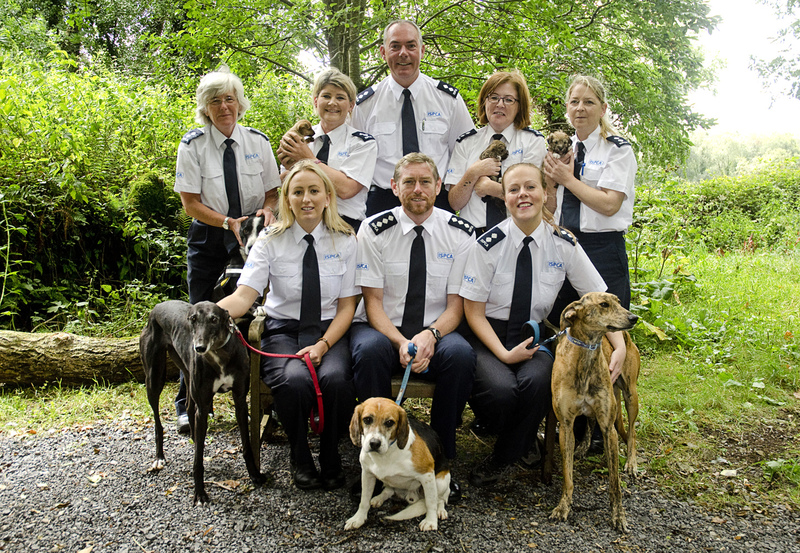 By dedicating your time, skills and expertise to the ISPCA, you will be making an immense difference in your community”. The ISPCA was delighted to meet so many animal lovers at Longford Shopping Centre recently during our volunteer recruitment drive. It was great to receive such interest in our volunteering roles. Emily added: “Volunteers who help walk, feed and care for the animals in ISPCA Centres are not only helping our fight to end animal cruelty, but also giving these animals a second chance in a happy home where they will be loved and cared for, for the rest of their lives. The additional benefits of becoming an ISPCA volunteer are the opportunities to meet and work with like-minded animal lovers, gaining valuable experience working in an animal welfare environment”. We are currently recruiting for the volunteer role of Rehoming Coordinator, perfect for animal lovers who are enthusiastic about pet adoption, who can help families who visit our Centres find a pet that will be the right fit for them. Our volunteer Rehoming Coordinators will make a difference for the animals we rescue by finding them what they truly deserve: a loving home. To become an ISPCA volunteer, you must be over 16 years of age for insurance purposes. Below are some of our volunteer roles. You can read the descriptions for each on our Volunteer page. You can contact our Volunteer Coordinator Emily Connor today on (043) 33 25035 or email volunteer.nac@ispca.ie for more information. The ISPCA is also recruiting participants to join Team ISPCA in this year’s VHI Women’s Mini Marathon and other races. Alternatively, sign up to a trip of a life time Charity Challege of your choice. Whatever you decide to do, make a difference and support a worthy cause!